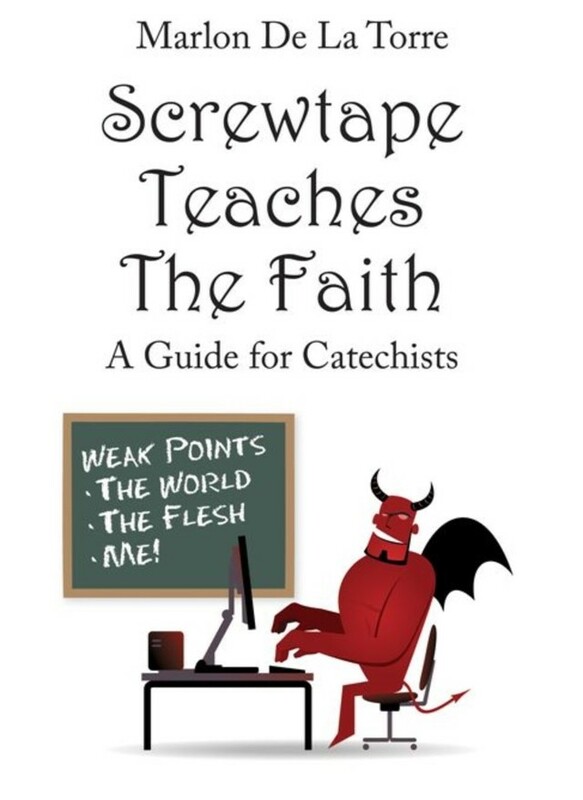 Discover the power of the Catechism like never before with Screwtape! If you enjoyed C.S. Lewis Screwtape Letters, but need a guide book of defense strategies based in solid Church teaching, this is it! De La Torre breaks down Lewis' perennial classic chapter-by-chapter, identifying the devil's specific temptation in each. Then, he provides you with solid references and explanations from the Catechism of the Catholic Church which highlight the opposite virtue, truth or good. Despite his best (or worst!) intentions, the devil cannot help throwing into glorious relief all the beauty and richness of the Faith. His temptations are the shadows which highlight the Truth all the more. De La Torre gives you exactly the right Catechism teachings to use as effective weapons against Screwtape's whispered lies. Individuals, catechists, teachers and parents will delight in the clear presentation of truths which are sure to squash the temptation to do evil whenever and wherever found. The backdrop of Sheed's quote serves as a central premise for Knowing is Doing in assisting anyone who faithfully desires to teach the Catholic faith. Understanding the need to transmit and articulate the Catholic faith in a clear and precise manner, Knowing is Doing provides the opportunity for anyone who has ever considered embracing the role of teacher, educator, pedagogue, and catechists to engage their gifts and talents in handing on the faith with fidelity and joy. St. John Paul II intimately tells us that the aim of catechesis is to place the person into an intimate communion with Jesus Christ. (Catechesis In Our Time, 6) This means as teachers we must be interested in Christ in order to teach about Christ. In other words, our mission if we so desire to teach is to have an intimate communion with Christ. This relationship, in turn, would serve as a central starting in our educational journey to proclaim and teach Jesus Christ.